Wealth, power, and cunning comprise the core of the Lannister Faction. More so than anyone else, the Lannisters understand that it is not raw brute strength that wins wars, but the breaking of your enemy's will. When playing House Lannister, players must master the arts of manipulation and deception, utilizing devastating Tactics Cards and Morale-affecting abilities to route their foes from the battlefield, rather than slaying them outright. 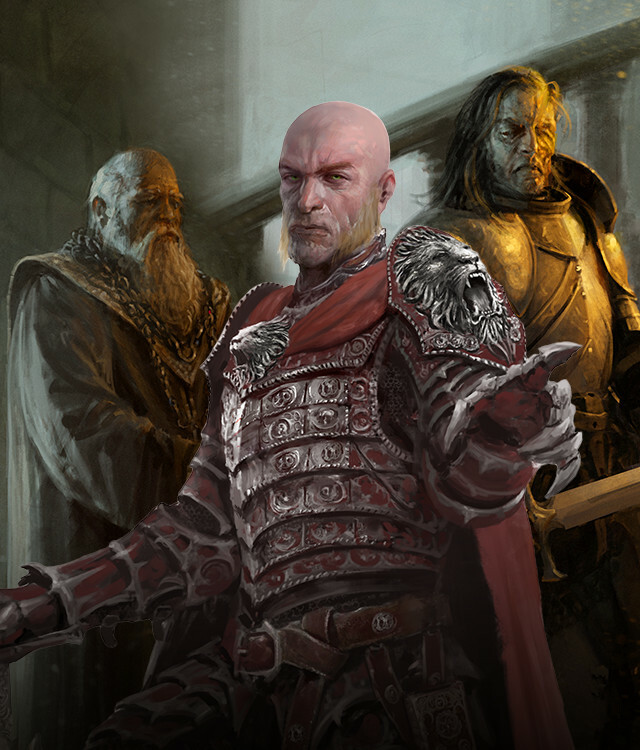 Players who enjoy controlling the ebb and flow of the battlefield will naturally be drawn to this faction and its Commanders, ranging from the intimidation tactics of Tywin Lannister, the Lord of Casterly Rock, the punishing counterattack-style of Jaime Lannister, the Kingslayer, to even the raw savagery of Gregor Clegane, The Mountain. For those players seeking to achieve not through combat, but by dominating opponents with your will and cunning, House Lannister is the faction for you. The Best Gear Money Can Buy: House Lannister boasts some of the best armor and weapons available, granting them iron-clad defense and the tools to counter any threat. Unmatched Wealth: Utilizing its vast resources, House Lannister can always afford to pay for more troops, granting them a number of restorative abilities on the battlefield. Hear Me Roar: Lannisters do not win through raw combat, but instead through inducing Panic in the enemy. They also have several ways to reduce enemy Morale to achieve this strategy. The Political Field: With characters such as Tyrion Lannister and Cersei Lannister, players have access to a number of Non-Combat Options that work to disrupt their opponent and lower the capabilities of their opponent's units. Control and Manipulation: More than any other faction, House Lannister excells at denying opponents of their strategies and tactics, utilizing powerful Tactics Cards such as Counterplot and Intrigue and Subterfuge to outright cancel enemy Abilities and powers.